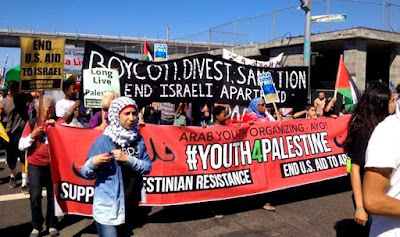 Religion is behind the motivation of bringing on BDS against Israel by a handful of people in Portland, Oregon as well as the rest of the world. It seems we're always facing some form or other. It's an old story. "In 2005, Palestinian civil society issued a call for a campaign of boycotts, divestment and sanctions (BDS) against Israel until it complies with international law and Palestinian rights. A truly global movement against Israeli Apartheid is rapidly emerging in response to this call. " They call for ending Apartheid. That's something that went on in Africa. It's not the story of Israel at all. The truth is it's the opposite of apartheid. This accusation comes from the Palestinians' warped view of reality and narrow mindedness. They have found others gladly buy into such a ridiculous claim and it's working so they use it. Facts go by the wayside. Coming right down to it, people working on BDS, such as Portlanders in our own City Council, feel they must cause Israel to bend to their wishes, which are nothing but wishes stemming from anti-Semitism. There is no basis, no legitimate reasons for wanting to do the only Democratic country in the Middle East, harm. They are people who are weak in their knowledge of what's going on on in the world. The history of the Jews, why they returned to Israel, and the struggles they have had has gone over their heads. All that motivates them is hearsay-gossip, innuendos, and anti-Semitism. A people without a country of their own for 2,000 years is being shafted by a nomadic people of recent years who belong to a group that already has 49 countries of their own religion. Israel is the only Jewish state in the world. The original state of Judah was destroyed by the Romans in 70 CE. Surrounded by enemies from the Muslim world, Portland has added their barbs and missiles of BDS to the already suffering state. Top drawer international lawyers such as Prof. Kontorovich, Eugene Rostow, a former Undersecretary of State for Political Affairs, and Stephen Schwebel, formerly President of the International Court of Justice, have proved that BDS philosophy is wrong and an unjust persecution of the new state of Israel. This is just a few of the international lawyers who defend Israel's right to exist and defend their actions to continue existing. "Prof. Kontorovich has also written and lectured extensively about the legal aspects of the Israel-Arab conflict." That's something that people backing BDS should take time to study. For what they are trying to do to Israel backs no merit. "It doesn't compute", as Leonard Nimoy used to say on Star Trek as Captain Kirk's side kick, Mr. Spock, the half Vulcan half human . Both Leonard Nimoy and William Shatner, who played Captain Kirk, happen to be Jewish in real life. "President Obama, who said he loved Spock, similarly described Nimoy's character as "cool, logical, big-eared and level-headed, the center of Star Trek's optimistic, inclusive vision of humanity's future." ""His legacy as that character is key to the enjoyment of Star Trek. The way that Spock was used as a device for the writers to examine humanity and examine what it meant to be human, that's really what Star Trek was all about. And in finding Leonard Nimoy, they found the perfect person to portray that." One problem of being human is that we don't use the logic and intelligence enough that we have, which the Vulcans had more of. William Shatner's Star Trek Captain Kirk, felt he had to keep quiet in his early years of his career about being Jewish. Now, at 71, he's speaking out. He had discovered that the word "G-d" is an anathema to Hollywood, where they fear people will "feel slighted if it is not their God. One way or another, everyone is searching for G-d, whether God is money, philosophy, family or a variety of ways humans search for something beyond themselves,"
William Shatner is also Jewish from Toronto, Canada. "He wanted to start therapudic riding programs in Israel for all children. "I had ambitions of taking children from Jordan, Egypt, even Gaza, and busing them to riding centers that would take young children who hadn't yet been inculcated into hate, and they would see the commonality of all humanity," says Shatner. I think he would have a hard time finding such children today, sadly. Here, religion more often than not has erased logic, especially in the case of BDS which is religiously motivated. Starting off with Africa's religious leader, Archbishop Desmond Tutu, who seems to have a grudge against Israel, this esteemed man, most human and not godly at all, sided with the Palestinians. Perhaps he "sees" his own people in them by comparison, taken over by the ruling whites, which is not the same situation at all in Israel as what has happened in South Africa. Through his efforts, the Sabeel movement took off, and that includes BDS against Israel, another form of harm for the tiny state just like a missile attack. "Disinvestment from Israel is a campaign conducted by religious and political entities which aims to use disinvestment to pressure the government of Israel to put "an end to the Israeli occupation of Palestinian territories captured during the 1967 military campaign." The disinvestment campaign is related to other economic and political boycotts of Israel." The Presbyterians and now Methodists are involved in backing the movement. When you look at these 2 Protestant religions, they have already gone to the point of the "Replacement Theory" whereby Jews are replaced by them in being G-d's favorite. So it must be easy for them to kick Israel in the shins and not back this tiny state in it's fantastic efforts to stay afloat and exist. I sense a streak of jealousy here. You know, it was Tevye, the milkman (Fiddler on the Roof) , who said, "Why us, G-d? Couldn't you pick on somebody else? We have a hard row to hoe. We didn't ask for the position. It's not something that makes us special, but a huge responsibility to have accepted. One thing for sure, we have had the stiff neck to not go back on our promise. We've lasted throughout the centuries from the time of Moses who asked this of us in about 1300 BCE to today; about 3,315 years. Then, as if this isn't enough, we have the Catholics who have had a history of persecution against Judaism from the days of the Crusaders during the 1,000s and then the Spanish Inquisition in 1492 and onwards. Christianity has only let up with their slings and arrows in about the 1960s, actually, considering all the anti-Semitic goings on. Now it's coming back big-time, showing some acts similar to what happened in Germany in the 20s and 30s against Jews. It doesn't stop there. 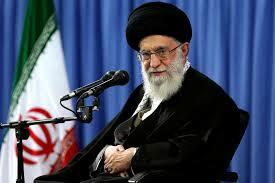 Now we have Iran's religious leader, the Ayatollah, saying Israel will be destroyed by them. This is an updated version being we have had our own state of Israel for the past 67 years. Trying to destroy Israel by cutting off it's economic life-blood for existence is what they are doing. At the same time, though they are too hot-blooded to think about it, Israel is made up of inside it's borders, 1.7 million Arabs, some of them Christians. In Judea and Samaria, so close that they are simply like a neighborhood of Israel, are Arabs who were depending on some of the industries for jobs. Boycotting, the B in BDS of Boycotting, Divesting and Sanctions, is their way of trying to stop Israel in the financial areas. And why are they attacking Israel? It has been the Palestinian Arabs who have been attacking Israel physically! 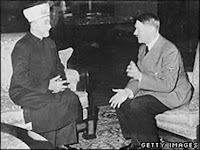 However, the religious groups in South Africa and those few religious in the rest of the world have taken the old steps of being against the Jewish people. Why? For their refusal of accepting their religion. So you see, it isn't enough that Jews are getting the same raw deal from the Muslims of not accepting their form of worship. Jews are the meat in the sandwich, getting crushed from both sides. How can intelligent people think for a minute that Jews would cause harm, harm that they have suffered from for the past 2,000 years, on people they share their land with? It's not a part of our religion to do such things. We live by the Golden Rule; Don't do to others what you would not want done to you. This is why it's so asinine. Only minds wanting to believe such filth can do it. "The Council on Foreign Relations states in its publisher's blurb for the book that Start-up Nation addresses the question: "How is it that Israel—a country of 7.1 million people, only sixty years old, surrounded by enemies, in a constant state of war since its founding, with no natural resources—produces more start-up companies than large, peaceful, and stable nations like Japan, China, India, Korea, Canada, and the United Kingdom? All the attacks on Israel have not prevented their innate talents to produce and to live. Other countries would find it very hard to do so. Israelis have creative minds and continue to create. Any group deciding foolishly to use BDS to harm Israel will not be an intelligent group, that is for sure, only a hateful one, and they never last. Israel continues to produce, especially in the medical field which they share with the world. All people can or are benefitting from achievements by Israel and by the Jewish people. It sounds like I'm bragging, but I am proud of the achievements they have made. By the same token, the religion of Judaism was first to establish humane rules for living among others. Our history is that it was designed by G-d as G-d spoke to Moses, so let it be. Jews are only trying to be fair with the Palestinians as much as they are not being fair with the Jewish people. Israel has designed plans and have tried to carry them out that benefit the Palestinians, only their Arab leaders have managed to curtail many of the good acts and persuade Arabs to attack the Jews anyway! A good example is that after 67 years, Arabs have been rioting in Jerusalem, trying to take the capital being their motivation. I watched CNN's program last night with Anthony Bourdain, the chef, who happens to have Jewish roots, travel the world to Turkey, what remains of the Ottoman Empire. He interviewed several people, the last being a businessman who said money was what made the world go around. It was money that was important to him; not the freedom of speech, not any democratic values that Israel and the USA share. Just money. It didn't matter to him that he lacked these things that we have. He's happy in a beautiful home being able to show it to Bourdain. What's happening to Turkey is that President Erdogan has been their leader for some time, first as PM and since 2014 as President, and has become very religious, imposing his Islamic ideas on all. But, this man didn't mind at all. As long as he's not affected, he doesn't care what is happening. Of course this religious bent is causing him to be difficult with Israel. I'm afraid many people share his lack of having values in his life. The heck with what is going on, but isn't it fun to get on the band wagon and persecute someone? And that someone is Israel. Just don't confuse these people with the facts.